GG Coca Cola Kid (JPN) in 08:26.47 by Samsara, ars4326 & dekutony. Coca Cola Kid is a platformer starring Coca Cola's Japanese mascot of the 90s. On his way through the levels, the kid can make use of a skateboard, but has to continue by foot if knocked off. 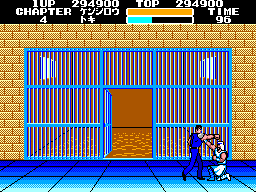 Enemies can be defeated by kicks and flying kicks. Unsurprisingly, energy is restored by collecting cans of a certain soft drink. Its gameplay bears a very strong resemblance to Sonic the Hedgehog, which is no coincidence, since it's built off of the Sonic the Hedgehog engine and was made by Sega. Samsara, ars4326 and dekutony rush to the end in good old Sonic-- ahem, Coca Cola Kid fashion in 8 minutes and 26.47 seconds. GG Ninja Gaiden (USA) in 07:16.63 by RobynS. 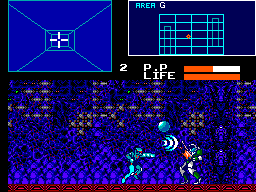 Ninja Gaiden for Game Gear is quite unlike the NES version or even its cousin on the Master System. 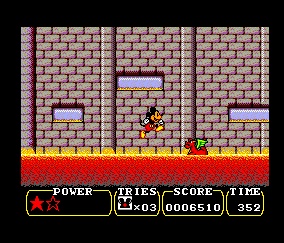 It has a similar (but simpler) feel as the Master System version, but has the wall climbing element of the NES game. But like the others, it has ninjas. And ninjas are cool. The key to a TAS of this game is special weapon maintenance. Bosses receive double the damage when hit with special weapons, so managing the weapons used and conserving force are critical to optimizing this game. This movie improves the previous run by 16.39 seconds. GG Sonic Blast (USA) in 11:30.96 by Challenger. Sonic Blast, known as G Sonic (Ｇソニック) in Japan, is a platforming game for the Sega Game Gear released in November 1996. 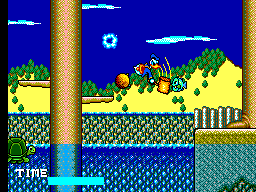 A similarly titled game, Sonic 3D Blast, was released in the same month for Sega's Genesis and Saturn consoles, though the games had different gameplay, plot, and a separate development team, as this game was developed by Aspect, whereas Sonic 3D Blast was a joint venture between Traveller's Tales and Sonic Team. Challenger completes the game in record time. GG Sonic Labyrinth "best ending" in 15:15.91 by Zurggriff. 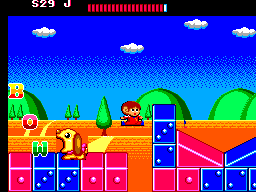 Sonic Labyrinth is a puzzle and platform game featuring isometric game play. Sonic must obtain keys located throughout the first three acts of each zone and then battle a boss to retrieve the chaos emeralds. While Sonic has an incredibly slow walking speed, there is plenty of super fast bouncing around that makes good use of the spindash. The best ending is achieved in this run by entering the bonus stage in 2-3 to collect a chaos emerald. GG Sonic the Hedgehog (any v1.0) in 19:17.89 by The8bitbeast. This run improves the predecessor movie by 2.29 real-time seconds, and by 1:22.29 minutes of total in-level time. What makes the real-time difference so small is the larger time bonuses. To compensate for that, the author has made an encode that cuts out the bonus screen and the level title cards. GG Sonic the Hedgehog: Triple Trouble (USA/Europe) in 19:19.98 by Grincevent & Cooljay. GG Tails' Skypatrol (JPN) in 06:53.57 by Alyosha. Wendy Witchcart is an old human witch who rides around in a specialized rail cart on an island that she claims as her own, and is the main villain who turns the islanders into crystals. Miles "Tails" Prower, better known as Sonic the Hedgehog's sidekick, is afraid of seeing a world filled with the witch's rails and decides to stop her on his own. While Sonic collects rings to protect himself, Tails carries a special ring that he can throw like a boomerang or grab things with. Since collected crystals cost time on the score tally screen, the author simply ignores them all. While this movie appears to be slower by 0.20 seconds than the previous publication, it is in fact faster by around a third of a second. This is because the site now assumes the proper framerate for Game Gear movies, while it assumed a flat 60 FPS back when the previous movie was published. GG The GG Shinobi (USA/Europe) "all upgrades" in 09:17.93 by Greenalink. 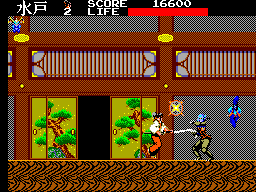 The Game Gear Shinobi is the first of the two Shinobi games released for the Sega Game Gear. 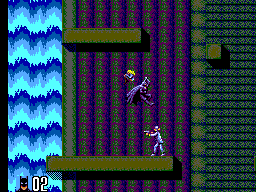 The level design structure starts off with a non-linear stage select, players must rescue all 4 ninja pals and use their combined strength to get through the City of Fear. Greenalink collects all life expansions in the game to upgrade the character, and as a result you get to see some interesting damage abuse strategies in the later levels that cut down a decent amount of time. The author has provided textual commentary that can be seen as soft subtitles in the encodes and in the movie file. GG The Lucky Dime Caper Starring Donald Duck (USA) in 11:23.0 by Challenger. 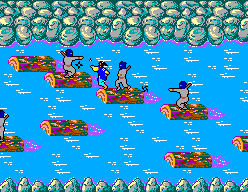 The Lucky Dime Caper Starring Donald Duck is a platform game released for Sega Master System and Sega Game Gear in 1991. It is the 8-bit counterpart to QuackShot. Donald Duck is on a mission around the world to rescue his kidnapped nephews and return Scrooge's stolen lucky dimes. Challenger retrieves the lucky dimes in the Game Gear version in record time. 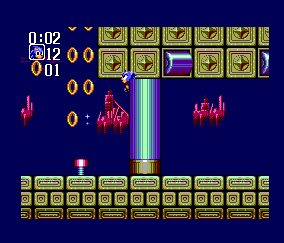 We also have a TAS of the SMS version, with different level layouts. SMS Alex Kidd in Miracle World (USA v1.0) in 09:51.29 by The8bitbeast. This is the most famous game in the Alex Kidd series, due in no small part to frequently being bundled with the Master System (and being built in to some versions of the console). 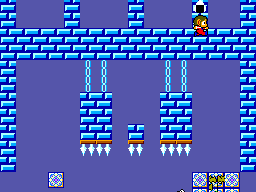 In this game, Alex Kidd discovers he is the prince of Radaxian, and his father, the king, has been kidnapped, allowing the tyrant Janken to claim power. The game details Alex's efforts to dethrone Janken (surprisingly, his father is not tracked down until a later game in the series). Few other games allow mini-bosses to be defeated by playing rock-paper-scissors. In fact, the name "Janken" is a reference to rock-paper-scissors. This is an improvement of 2:41.47 over the previous run due to the use of new glitches, and other optimizations. SMS Alex Kidd in Shinobi World (USA/Europe) in 05:27.84 by The8bitbeast. The8bitbeast improves the previous run by 47 seconds, thanks to better optimisation and the addition of a major new trick which allows zipping across screens with the tornado powerup. SMS ALF (USA) in 05:23.97 by nitrogenesis. ALF is a game based on the TV show, where the titular character is seeking parts for his spaceship so he can meet his friends. In this improvement of 11.61 seconds done by nitrogenesis, poor Alf still dies a lot in order to warp around. SMS Alien 3 in 18:19.28 by zoboner. 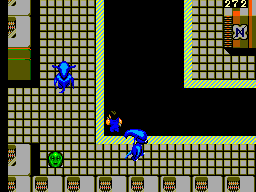 Based on the movie of the same name, this game has heroine Ellen Ripley fighting aliens and saving prisoners on planet Fury 161.
zoboner quickly terminates the alien threat in this run of the Sega Master System version, often using glitches based around the flamethrower weapon to guide an invisible Ripley through the labyrinthine levels. SMS Alien Syndrome (USA/Europe) in 12:58.09 by Mephistus. SMS Argos no Juujiken (JPN) in 13:02.64 by AngerFist & Alyosha. 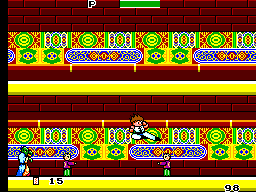 Argos no Juujiken (アルゴスの十字剣) is a side-scrolling game from the Rygar series, involving a hero with a shield as a weapon. 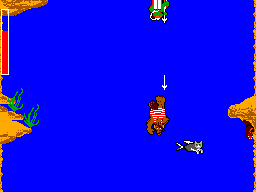 Unlike the NES version, this game is much more linear. This run is an improvement of roughly 20 frames over the predecessor movie, and it's slightly longer due to more accurate emulation. SMS Astérix (USA/Europe) in 26:20.57 by Johnnypoiro. Based on the characters of the popular French Asterix comic series, this platform game released in 1991 has you follow the two indomitable Gauls Asterix and Obelix as they travel to Rome to confront Julius Caesar. 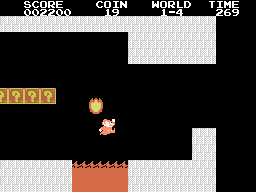 In each level the player must find the key and make their way to the exit, while avoiding dumb looking legionnaires and making use of potions with various fantastical effects. An interesting feature of this game is that the player can choose between the two heroes for each level, and their different control styles mean that most levels can be completed in a variety of different ways. With strategic character selection, clever use of shortcuts, and carefully-timed potion use, Johnnypoiro sails through each of the 21 levels, all while minimizing the score to shorten the points tally scene at the end of the game. SMS Batman Returns (Europe) in 01:38.24 by mamuuuut. Batman Returns is a platforming game based on the movie of the same name. Normally, Batman must move through five stages on his way to defeat the Penguin. These include the streets and rooftops of Gotham City, Max Shreck's department store, the sewers, and the Penguin's lair. Mamuuuut, however, uses a glitch which allows him to skip directly to the final portion of the last stage from the first stage. Therefore, he completes it in less than two minutes. For more details, read the author's comments. SMS Castle of Illusion: Starring Mickey Mouse (USA v1.1) in 11:46.53 by Tee-N-Tee. 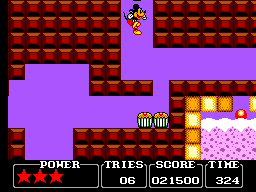 In this run of the SMS version of a game concurrently released for the Genesis/Mega Drive (and part of a much larger series of games), Mickey must collect seven jewels to reach the final boss and save Minnie. Tee-N-Tee has improved 62.01 seconds over the previous run by several new tricks, like preserving speed after coming off of a slope, and a new shortcut. You can see details on all of these things in his write-up. SMS Cheese Cat-Astrophe Starring Speedy Gonzales (Europe) in 13:07.26 by Mephistus & Really_Tall. 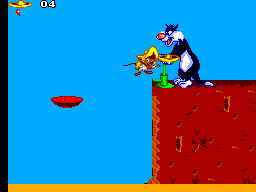 'Cheese Cat-Astrophe Starring Speedy Gonzales' is a 2D single-player platform video game developed by Cryo Interactive, based on the Looney Toons cartoon series. Here Mephistus and Really_Tall use Speedy Gonzales to 'speedily' beat this game. 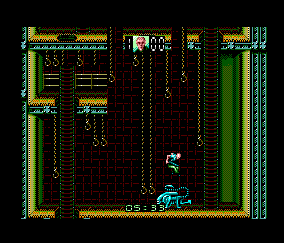 SMS Cyborg Hunter (USA/Europe) in 09:13.71 by Challenger. Challenger improves the previous TAS by 48.62 seconds, thanks to a route change and better optimisation. For more details, please read the author's comments. SMS Danan: The Jungle Fighter (USA/Europe) in 07:18.15 by Aqfaq. Long ago, in the distant land of Moralos, in a time when vast jungles still covered the Earth, an evil presence emerged from his tomb beneath the ground. His name was Gilbas, and he was about to destroy the inhabitants of the land. Aganan, a great warrior, was summoned to save the troubled land and put an end to Gilbas by sealing him in the tome from where he came. Unfortunately, Gilbas was successfully resurrected and another warrior, Danan, was called. His quest is to locate the three sacred objects that Aganan used to defeat Gilbas: "The Orb of Light", "The Amulet of Light", and "The Knife of Light". This run by Aqfaq uses careful experience point management and precise boss fights to save time and beat the game in under seven and a half minutes. SMS Disney's Aladdin (USA/Europe) in 09:46.77 by Johnnypoiro. Sega's 8-bit systems received a unique adaptation of Disney's 1992 animated film Aladdin. Like other versions, it is a side-scrolling action game. 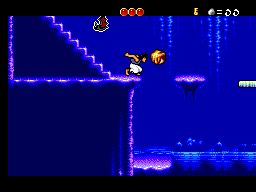 The player controls Aladdin, making his way through a variety of locations, including the streets of Agrabah, the Cave of Wonders, the Sultan's palace and more. 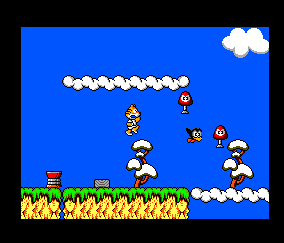 Gameplay takes several different forms: some levels are chases, where Aladdin runs automatically, but must be made to jump over chasms or rolling rocks and barrels, evade falling objects and avoid getting caught by a guard. Other levels are platforming affairs: Aladdin must run, jump and climb, find keys or switches to open doors while searching for the exit. 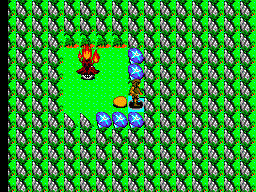 Rocks can be collected and be thrown to dispatch enemies or hit buttons otherwise out of reach. 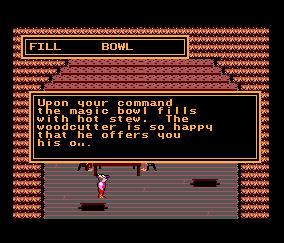 Finally, there are also several magic carpet rides in the game, in which the level scrolls automatically and the player must make sure to avoid any obstacles in the way. SMS Dragon Crystal (Europe) in 00:49.1 by Challenger. 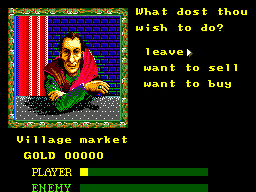 Dragon Crystal is an early Roguelike RPG in the vein of Fatal Labyrinth and Azure Dreams, thus it's naturally vulnerable to the same type of luck manipulation in its random level generation to allow the protagonist to miraculously find stairs up in the opening area of each floor and complete the game in record time. Challenger's improves upon the previous run by 16.37 seconds through making use of the pause button in order to manipulate better luck. SMS Fantasy Zone II: The Tears of Opa-Opa (JPN) in 05:55.44 by Odongdong. 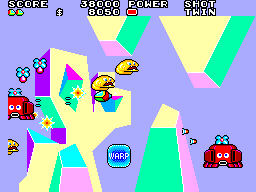 In Fantasy Zone II: The Tears of Opa-Opa, the goal is to knock out all the stationary enemies and open the red warp to fight each level's boss. 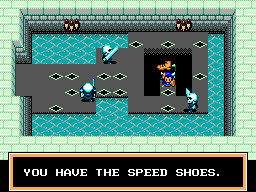 Unlike other Fantasy Zone games, the stages are separated into a few submaps connected with blue warps. Because the stages are nonlinear, backtracking is unavoidable and the player must find the shortest path through them. This run by Odongdong uses increasingly powerful upgrades and a well-planned route to beat the game in under 6 minutes. 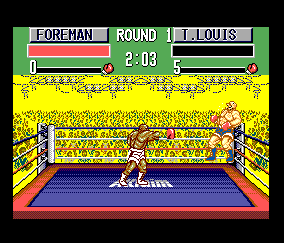 SMS George Foreman's KO Boxing in 04:44.83 by Alyosha. This run is 21.66 seconds faster than the predecessor movie despite of losing some time to the BIOS screen. The improvement comes from much better strategy and optimization. See the author's notes for more details. SMS Golden Axe Warrior (USA/Europe) in 30:49.1 by zoboner. Golden Axe Warrior is a spinoff of the Golden Axe series that more resembles The Legend of Zelda than it resembles other Golden Axe games. While the game takes many ideas from Zelda 1, it improves upon its inspiration in a number of different ways. The game is beaten in under 31 minutes by zoboner using luck manipulation, glitched key drops, and other optimizations. 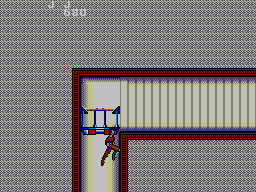 SMS Hokuto no Ken (JPN) in 05:06.94 by RobynS. 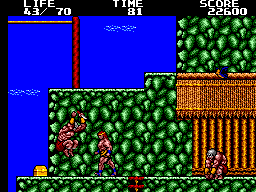 Hokuto no Ken is one of many video games based on the long-running manga Fist of the North Star (北斗の拳, Hokuto no Ken). This game follows Kenshiro across a world devastated by nuclear war as he journeys to rescue his girl, Julia, from his rival, Shin. To beat Shin's seemingly unstoppable army, Kenshiro uses the secret fighting technique Hokuto Shin Ken to twist his opponents' muscles until they literally explode. RobynS improves the previous run by 5.93 seconds, thanks to better optimisation. SMS Kenseiden (USA/Europe) in 05:25.34 by Jungon & Challenger. While this TAS appears to be slower than the previous movie, it is in fact an improvement of 1.76 seconds when only considering time saves during the levels, resulting from better optimisation and a new strategy at the final boss. The second set of encodes feature a re-synced version of the TAS done on the Japanese version with the FM sound. Due to the shorter boot time, the main gameplay starts about 7.35 seconds earlier. SMS Kenseiden (USA/Europe) "100%" in 13:08.7 by Jungon & Challenger. While this TAS appears to be slower than the previous movie, it is in fact an improvement of 5.22 seconds when only considering time saves during the levels, resulting from overall better optimisation and a new strategy at the final boss (the same one as in the any% TAS). The second set of encodes feature a re-synced version of the TAS done on the Japanese version with the FM sound. Due to the shorter boot time, the main gameplay starts about 7.37 seconds earlier. SMS King's Quest: Quest for the Crown (USA) in 03:07.46 by BZero & Challenger. King's Quest is a popular adventure franchise for the PC by Sierra that focuses on exploration and puzzle solving. This movie features one of the few console ports of any Sierra adventure game. Notably, it features improved graphics and sound as compared to the original, which is usually not the case for these ports. This run is a 2.11 second improvement over the predecessor movie, if you count the actual gameplay. The real time is longer, because the BIOS screen is included this time, and the movie length is bigger, because the authors decided to advance the ending to the real final screen, which required further input. SMS Kung Fu Kid (USA/Europe) in 08:03.44 by AngerFist & Alyosha. 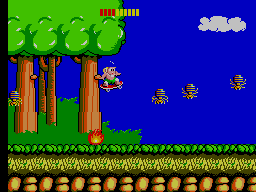 In Kung Fu Kid, the wicked Madanda has awakened from a sleep of several thousand years and it's up to you to fight your way through seven stages of thugs to find and defeat him. As jumping at the maximum height is the fastest way to move, prepare to see AngerFist and Alyosha jump through this game both gracefully and speedily. This run makes improvements upon the previous publication, but takes longer due to using the SMS BIOS which is not used in the previous publication. Without the BIOS, this run improves the previous publication by almost a full second. SMS Land of Illusion: Starring Mickey Mouse (Europe) in 22:48.28 by The8bitbeast. This is a sequel to the classic game, Castle of Illusion. Though not as famous as its predecessor, this game has many improvements and new mechanics from the series. Levels are selected from an overhead map and can be replayed. Mickey gains several abilities from levels which are necessary to proceed, such as the ability to shrink himself. 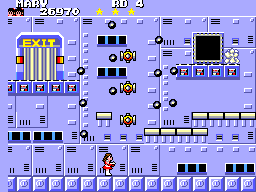 Many stages are finished by collecting a star to open the exit door, and there are plenty of puzzles and platforming tricks to keep things entertaining. This is a 2:22.58 minute improvement over  SMS Land of Illusion: Starring Mickey Mouse (Europe) by Mephistus in 25:11.05 thanks to some new strats and overall optimization. SMS Lord of the Sword (USA/Europe) in 13:34.82 by Isotarge. 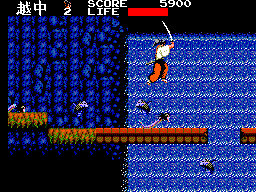 Lord of the Sword (ロード オブ ソード) is side scrolling action-adventure video game for the Sega Master System. Here Isotarge extensively utilizes a glitch with attacking enemies to beat this game at max speed. This run improves Isotarge's previous effort predecessor movie by 32.56 seconds. SMS Master of Darkness (USA/Europe) in 17:52.31 by zoboner. 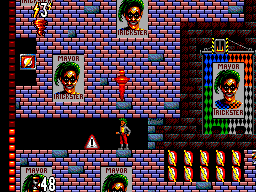 Master of Darkness is an action platformer developed for the Sega Game Gear and the Sega Master System by SIMS, and published by SEGA in 1992. 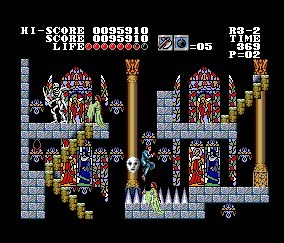 The gameplay is very similar in nature to the Castlevania series of games. You play as a psychologist trying to defeat Dracula. This requires you to fight your way through several spooky locations such as cemeteries, laboratories, castles or a house of wax dolls. zoboner makes his way through the five rounds and defeats Dracula in record time. SMS Montezuma's Revenge (USA/Europe) in 04:00.16 by Calfd. 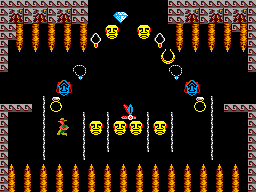 Montezuma's Revenge was one of the first platform games, combining treasure hunting, multiple rooms and puzzle solving. The player controls Panama Joe as he explores labyrinthine 16th century Aztec temples filled with enemies, obstacles, traps and dangers. 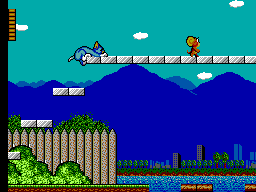 Panama Joe can jump and climb ladders, but doesn't have much to offer in terms of combat, making it imperative for him to steer clear of enemies. This run by Calfd skips most of each temple by abusing a bug that lets Panama Joe climb through the air. Calfd plays until the eleventh stage, after which there is no new content. SMS Ninja Gaiden (Europe) in 14:17.39 by Challenger. In this gaiden of a gaiden, Ryu Hayabusa saves the world from ultimate powers being unleashed. Doing so involves slow battles with sumo wrestlers and members of the Yakuza. This run from Challenger improves upon the previous publication by by 48.02 seconds, thanks to the use of new tricks, including an infinite ammo glitch, as well as better optimization. SMS Phantasy Star (USA/Europe) in 2:17:37.97 by nfq. 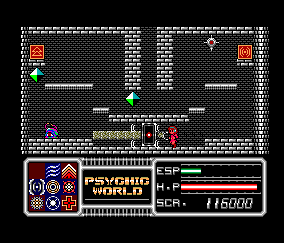 The original Phantasy Star is one of the pioneers of console RPGs, featuring fully traversible overworld maps, random enemy encounters, and turn-based battles. 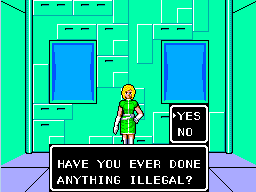 It was also one of the first games to feature a female protagonist. One peaceful day in Algol, the benevolent King Lassic decides to convert to a new religion. Unfortunately, this new faith turns him into a cruel dictator who silences all who go against him. When Alis' brother tries to rebel, he is killed by Lassic's robot-cops. After seeing this, Alis sets out to stop him, not only to get revenge, but also to liberate the people from the King's oppressive rule. This movie contains long leveling-up sequences from 47:26-1:09:40 and 1:16:56-1:40:45. You may want to skip them. SMS Psychic World (USA/Europe) in 13:13.97 by Dammit & Alyosha. Monsters have blown up and escaped from a top secret Psychic Research facility and stolen one of the lovely lab assistants as well. Dr. Knavik gives Lucia his precious ESP Booster to save her twin sister Cecile. By collecting various items on her travels, the ESP Booster grants Lucia various powers (kind of like Mega Man...) to destroy her enemies and also navigate quickly through levels. This is exacerbated for the author by poor hit detection and finicky input control. Input is only allowed one time every four frames. Nevertheless the end result is a fast paced and varied movie. This run improves the previous movie by better strategies and lag optimization, but its overall time is longer due to using a BIOS and better emulation causing yet more lag. SMS Psycho Fox (USA/Europe) in 02:11.87 by The8bitbeast & Sonikkustar. Psycho Fox is about furry animals out to stop the evil Madfox Daimyojin, using their trusty bird friend as a baseball to knock out enemies. This all happens in a blink of an eye, so watch closely! Again, Tiger is the fastest one and is used ASAP. This run beats the previous run by 40 frames, thanks to optimizing the pause glitch and movement. Despite the time save, the final run time is slower due to the SMS BIOS not seen in the previous run. For more details, please read the authors' comments. 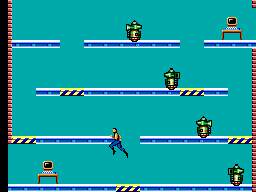 There is also a run of this game, which completes the game without warps. SMS Quartet (USA/Europe) in 04:24.81 by Sonikkustar & Alyosha. Quartet is a fairly basic run-and-gun platformer, with little in the way of objectives besides "kill the bosses" and "find the exit". Although the total run time is longer than the previous publication, the run is 1.73 seconds faster when not taking into account the SMS BIOS thanks to some small optimizations throughout the run. SMS Rocky in 03:01.95 by Alyosha. 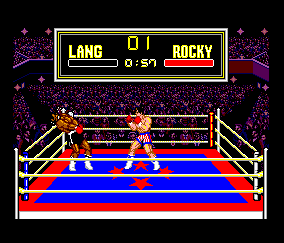 Rocky is a video game adaptation of the famous Rocky movies, featuring familiar characters like the Soviet superboxer Ivan Drago. In this run, Alyosha improves the predecessor movie by 2:17.89, due to skipping the training section completely, and also tighter optimization and better planning. Some of the improvement time was lost to the BIOS screen though. SMS Sonic Chaos (Europe) "best ending" in 14:06.72 by The8bitbeast. The goal of this TAS is to beat the game with the best ending, which requires collecting 5 emeralds throughout the game, causing a 6th emerald to drop after the final boss. This run improved the predecessor movie by 33.01 seconds. The main timesave comes from lag reduction, but a few seconds were saved thanks to other tricks, techniques and routing. SMS Sonic the Hedgehog (USA/Europe) "Max Special Bonus" in 20:27.28 by The8bitbeast. 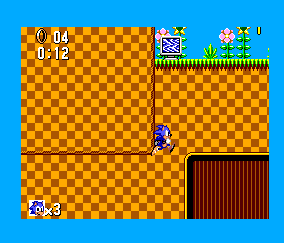 Unlike later 8-bit Sonic games, there are significant differences in levels between the SMS version and the Game Gear version. 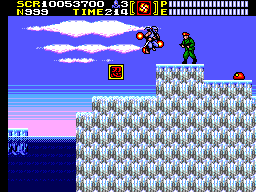 The SMS version was primarily used, due to much shorter score screens. 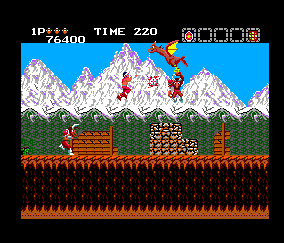 The8BitBeast aims to collect the maximum special bonus at the end of the levels. More about this goal in the submission text. 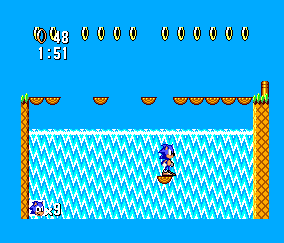 SMS Sonic the Hedgehog (USA/Europe) in 14:37.63 by The8bitbeast. Thanks to better strategies, The8bitbeast improved his predecessor movie by 36.43 seconds. It only appears to be a 26.08 second improvement, but the timing of the previous TAS did not include the BIOS, which loses 10.35 seconds. Note: this run have been commentated by its author, you can watch it here. SMS Sonic the Hedgehog 2 (USA/Europe v1.0) "best ending" in 18:44.28 by mike89. Sonic the Hedgehog 2 for the Sega Master System completed with all emeralds. 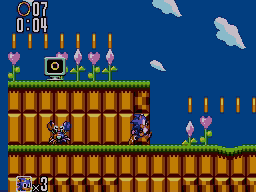 Unlike many Sonic games, acquiring emeralds is done within normal stages rather than bonus levels, and getting all of them allows you to play the true final level. Trivia: This game slightly predates the Mega Drive/Genesis version, so it features the official first appearance of Sonic's flying mutant fox friend, Tails. SMS Super Boy II (Korea) in 05:55.24 by nitrogenesis. Super Boy II is a 1989 clone of Super Mario Bros. created by the Korean pirate company Zemina (재미나, roughly translates to "It's fun!") and is the sequel to its earlier game, Super Boy I. Besides having bad controls and graphics, this game leaves out some of the original features, including warp zones, water levels, Worlds 5-8, and even the princess. NitroGenesis shows off this tough game in its entirety, precisely avoiding all of the enemies and reaching the ending in just under six minutes. SMS The Flash (USA/Europe) in 08:45.24 by zoboner. 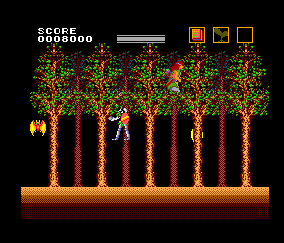 The Flash is a side-scrolling platformer starring the eponymous D.C. comics hero. The game is divided into six episodes, each episode has two stages and a boss fight. 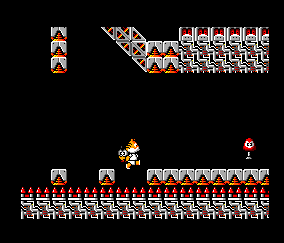 Within each stage, Flash must get to the exit before the time limit runs out, though the exit must first be unlocked by activating a switch. zoboner clears the game in a flash. 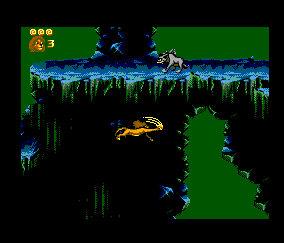 SMS The Lion King (Europe) in 06:23.83 by EZGames69. 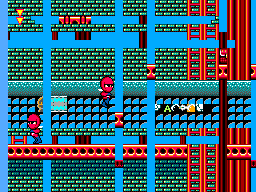 The Sega Master System port has different level layouts than the Genesis and SNES versions. In this run, EZGames69 completes the hardest difficulty in record time. We also have runs of the Genesis and SNES ports. SMS The Lucky Dime Caper starring Donald Duck (Europe) in 18:33.01 by Challenger. Challenger improves the previous movie by 1 minute and 36.87 seconds, thanks to better optimisation. SMS The Ninja (USA/Europe) in 05:16.54 by Isotarge. Early in Japan's edo era, circa 1630, peace had continued in the western province of Ohkami until the feudal lord passed away. Gyokuro, an evil emperor, gained power and his oppressive rule caused great hardship to the people, and the princess who opposed him was confined to a dungeon somewhere in the Ohkami castle. Gyokuro has the Ohkami ninja under control at his command. Utilizing various ninjitsu techniques, in addition to the one that transforms them into a wolf, they protect him from the people who are his enemies. SMS Tom and Jerry: The Movie (unknown) in 02:03.06 by The8bitbeast. A short game based more on the classic cartoon shorts than the 1992 movie. True to the original series, the focus of this game is on catching Jerry in each level as Tom. While you can catch him at the end of the level after solving a puzzle, the challenge lies in trying to catch him before the level ends. With careful movement and damage abuse, The8bitbeast catches the little mouse for good (or does he?) in just over 2 minutes. For more of the cat and mouse duo, watch our other Tom & Jerry TASes. SMS Toto World 3 (KOR) in 09:42.08 by The8bitbeast. 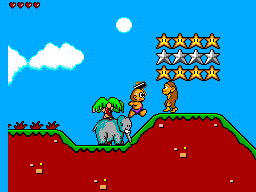 Toto World 3 (토토월드 3) is a platformer released exclusively in South Korea where the player controls a caveman kid who must traverse prehistoric landscapes and defeat the predominantly animal-shaped enemies standing on his way. 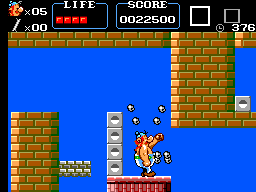 The kid is armed with a club, which can be swapped for a more powerful hammer if the player collects the appropriate power-up. The8bitbeast completes the game in record time. 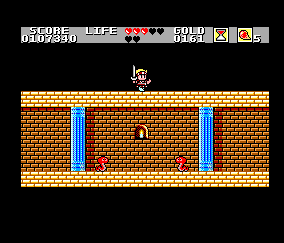 SMS Wonder Boy III: The Dragon's Trap (USA) in 21:44.16 by The8bitbeast. 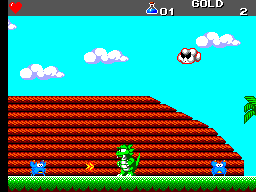 Wonder Boy III: The Dragon's Trap is a 1989 platform game by Sega and Westone. This game is a direct sequel to Wonder Boy in Monster Land and starts in the final lair of the previous game. According to Wikipedia, it is widely considered to be one of the best games produced for the Sega Master System. The8bitbeast shaves off over ten and a half minutes over the previous run by grinding enough Charm Stones to open the Charm Stone door that takes you straight to the final boss. SMS Wonder Boy in Monster Land (USA/Europe v1.1) in 09:14.2 by Challenger. Eleven years have gone by since Tom-Tom rescued his girlfriend Tanya from the clutches of the evil King. Word of Tom-Tom's dangerous adventure soon spread throughout Wonder Land. The people were very proud of Tom-Tom and gave him the highest honor of all — the legendary name of Wonder Boy. With the evil King defeated, Wonder Land returned to its peaceful state, and for over a decade, the kingdom was a paradise, and everything and everyone lived happily together. Eventually, the peace was broken when a ferocious fire-breathing dragon appeared out of nowhere and took over Wonder Land with an army of evil, monsterous henchmen, throwing Wonder Land immediately into utter chaos. The defenseless people were quickly taken over and the tranquil and serene kingdom was transformed into a land of demons and devils. Wonder Land was now a Monster Land. Tom-Tom, Wonder Land's last hope, is now summoned to set out on a journey, destroy this dragon, and restore peace once again. In this movie, Challenger improved upon the previous publication by 1:46.23 minutes, thanks to new tricks, better luck manipulation, and better optimization. SMS Ys: The Vanished Omens (USA/Europe) "game end glitch" in 00:17.11 by JohnUK89. Ys: The Vanished Omens is the first in a long series of role-playing games. Young swordsman Adol Christin has arrived in the town of Minea, only to find that a great evil is sweeping the land. He must seek out the six books of Ys and use the knowledge they contain to defeat the evil forces. But after our hero visits a nearby shop, the shopkeeper decides he likes him and gives him his personal copies of all the books of Ys to complete his quest. In this run, JohnUK89 improves upon the previous run by 21 frames by walking further down the screen, which makes going into the menu unnecessary. SMS Zillion (USA/Europe v1.1) "100%" in 18:30.38 by Caitsith2. Zillion is a video game companion for the anime of the same name. It features a freely explorable world in the vein of the Metroid games. JJ, the main character from the anime, must infiltrate the base of the evil Noza (misspelled as Norsa in-game) Empire and find five floppy disks in order to input the self-destruct sequence into the main computer and destroy the base. In this run, Caitsith2 manipulates enemies to fire earlier and the four-digit codes to only contain numbers above 4. He also rescues both of his captured friends in order to achieve 100% completion.